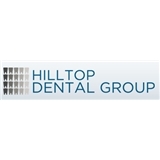 Hilltop Dental Group (Denver) - Book Appointment Online! Welcome to Hilltop Dental Group. Dr. Marat Fainberg and his professional dental team at Hilltop Dental Group are dedicated to providing the highest quality dentistry in Denver. Dr. Fainberg, the lead Dentist at Hilltop Dental Group, is focused and passionate about providing all patients with relationship-focused dental care in a welcoming and caring atmosphere. With over 10 years of experience, Dr. Fainberg has successfully brought beautiful smiles to hundreds of patients throughout the Denver metro. An emphasis on your dental care needs places Dr. Fainberg & Hilltop Dental Group ahead of other dentists in Denver. They always get me in right away. I'm never waiting long enough to even finish a paragraph in one of the waiting room magazines, so I take it back with me, but hardly get a chance to finish a page, which is a good problem to have. The dentist was not in for my last appointment but the hygienist is great! She is always very friendly and takes the time to answer all my questions.